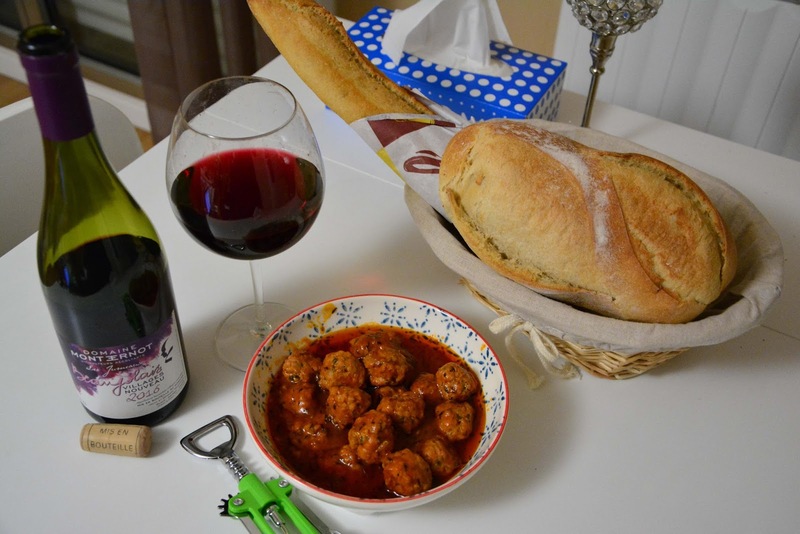 The Paris Feast: Celebrating with the Beaujolais Nouveau. 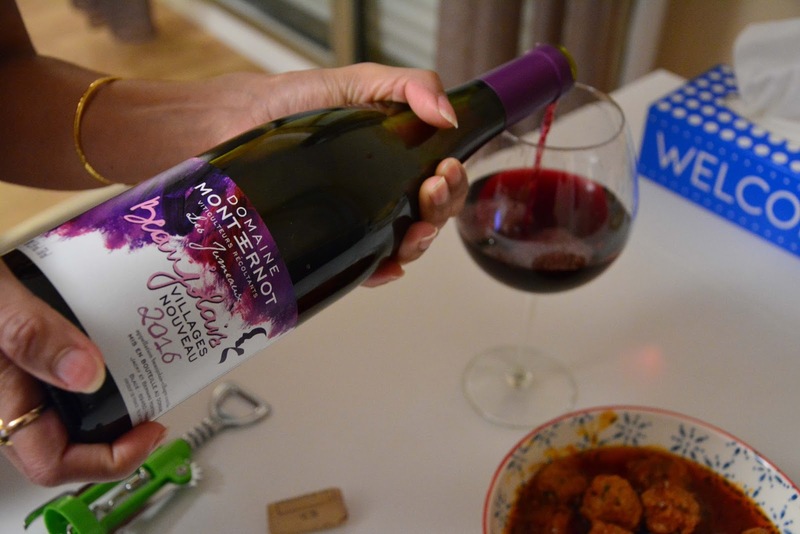 Celebrating with the Beaujolais Nouveau. It has been already six years that I have relocated to France. By this time those of my friends who are a regular reader of my blog know my soft corner for Paris, the French culture and food. 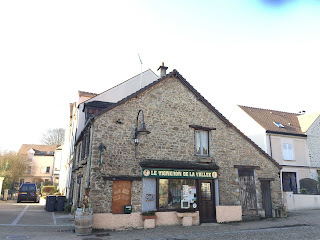 And of course wine production and tasting is the most widely known aspect of the French culture. 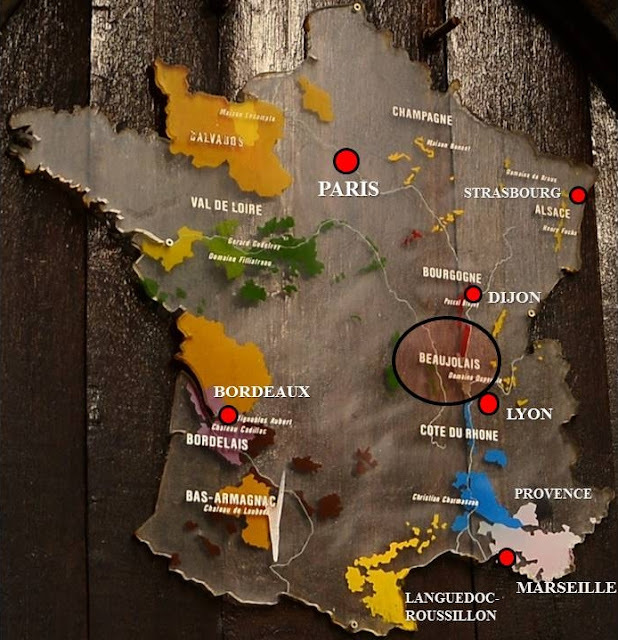 There are different wine growing regions in France, the most important among them being Bordeaux, Bourgogne (Burgundy) and the neighboring Beaujolais, Provence, Languedoc-Roussillon, Alsace, Cote du Rhone, the Loire Valley and the sparkling wine region of Champagne. I found this on a wall in Paris, I later modified it to add the cities to the map. And of all the different customs of wine tasting, a very popular one is the tradition of drinking Beaujolais Nouveau. 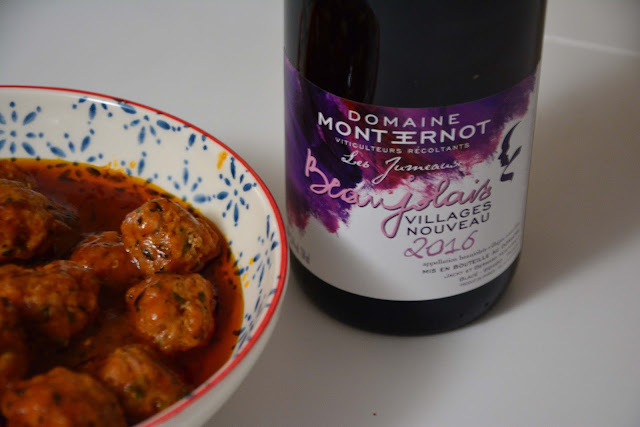 As the name suggests, Beaujolais Nouveau (nouveau means new in French) is a young red wine made from Gamay grapes which have been fermented for just a few weeks before being released for sale on the third Thursday of November. Beaujolais marks the last harvest of grapes of the season and until World War II this light cherry color wine was drank by the only locals of the Beaujolais region. Beaujolais gained the AOC (Appellation d'origine controlee, the highest certification of origin for wines in France) in 1937. In 1951, following a decree that mentioned that all AOC wines in France cannot be sold until 15th December of the harvest year, a new special AOC was created for the wines which had a very short fermentation and sold in the same harvest year. Thus the designation of “Nouveau” wines was born and of them the Beaujolais Nouveau quickly became most popular and reputed wine. 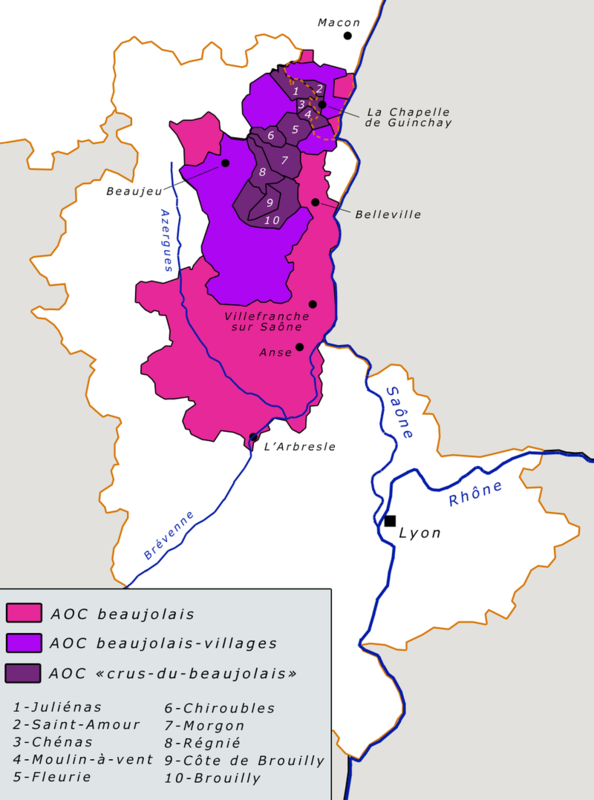 By the same designation, it is required that all the grapes for the AOC Beaujolais must be harvested by hand There are three categories of Beaujolais Nouveau (same for the wines from the Beaujolais region) depending on the geographic region from where the grapes are harvested as shown in the map. 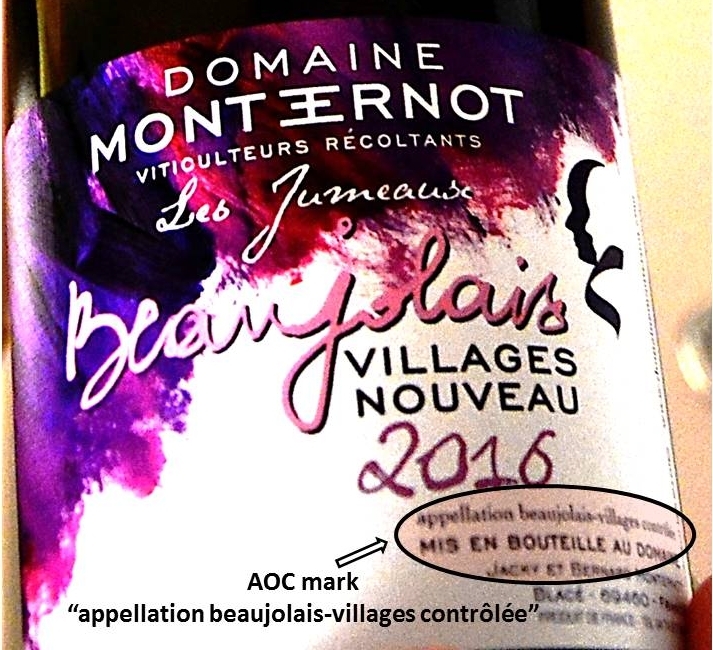 The label on the bottle depicts the category of the wine and its certification in the format Appellation “Category” Contrôlée together with the year of harvest. Another important aspect of French wine is the label on the top of the bottle. It is called the CRD or Capsule Représentative de Droit in French. Its color helps to distinguish the different levels of certification of the wine. For wines it can be Green, Red or Blue. Green indicates that the wine satisfies the definition of quality wines produced in the specified regions, Red indicates natural sweet wines with a registered designation of origin and blue indicates all the other types including table wine. 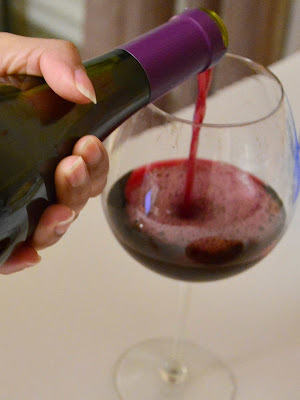 Beaujolais Nouveau is made using carbonic maceration, which is to ferment the whole grape bunches for about four days in tanks saturated in carbon dioxide. This is done to keep the grapes as intact as possible without scratches or crushing the seeds. Conventional alcoholic fermentation is done by crushing the grapes to free the juice and pulp from the skin and then with yeast serving to convert sugar into ethanol. For the carbonic maceration however most of the grapes are not crushed and the juice is fermented which still inside the fruit. This emphasizes the fruit flavors without extracting bitter tannins from the grape skins. The resulting wine is thus fresh fruity and very low in tannins. 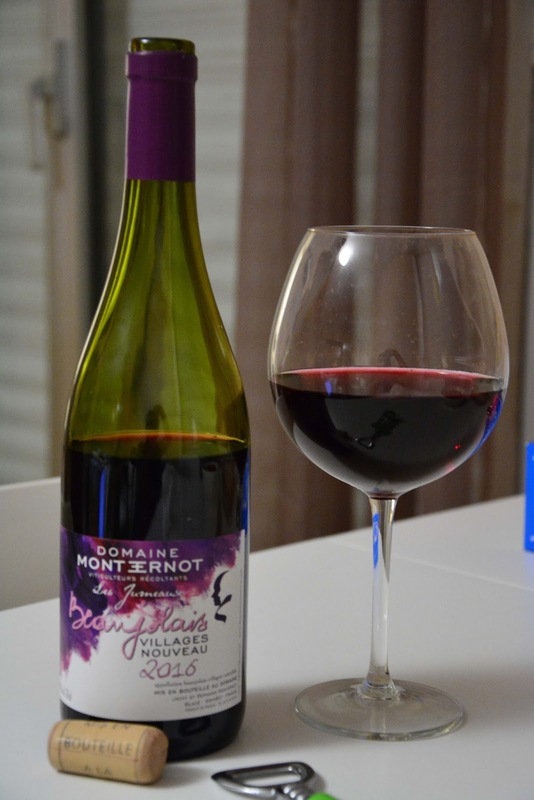 Thus Beaujolais Nouveau is a purple pink wine reflecting its youth, bottled only within six to eight weeks after harvest. This year I managed to get for ourselves a Beaujolais Village Nouveau from my trusted local cavist who happens to be from the Burgandy region. For people who are not aware about what a cavist does, a cavist is a person who is an expert about wines and the combination of food and wine pairings. Though the CRD on the top of the bottle was red, yet one can always trust the cavist when I am sure of his know-how and his understanding of my taste. He also recommended me to pair the Beaujolais nouveau with any red meat and mentioned specifically that the dish should not be very heavy. 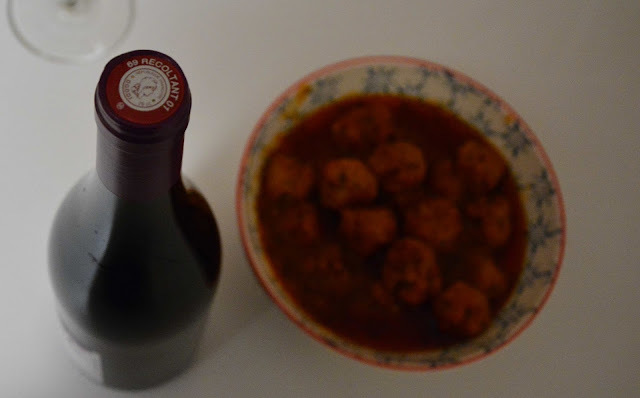 So I prepared a simple meat ball dish with some minced meat from my meat-vendor of the morning market (recipe coming up shortly). The wine was perfect, it was light bodied as expected and more importantly very smooth. The notes had blended well and the combined fruity flavor left a refreshing touch on the palate. In all the experience was sublime but sadly I have to wait another year, till the third Thursday of November (16th November, 2017) to savor the pleasure of Beaujolais Nouveau.